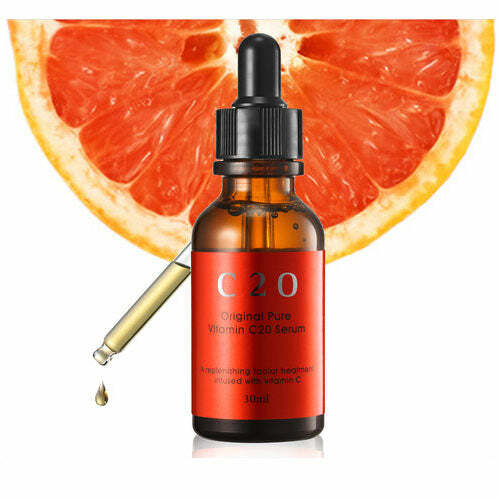 - Concentrate vitamin C drop gives bright and clear beautiful skin care. - Removes old dead skin giving firm and elastic vitality. - Soluble vitamins penetrate deep into skin giving even and bright clear skin. - Natural soothing and moisture ingredients safe on sensitive skin. - Promote skin collagen for elastic vital skin. - Protect skin from external stress with skin activation. - After face wash use toner apply thin layer on dull areas. - For sensitive skin use serum 1~2 drops with toner. - Apply sun block before going out in the morning. - After C serum apply moisture and hydration products. ◆ Keep refrigerated for fresh long use. ◆ Vitamin C with more than 10% products show effects. ◆ For higher absorption use dead skin remover or toner. ◆ After using keep refrigerated for fresh long use.